Arco-Íris (Leiria, Portugal) on 25 January 2019 in Documentary & Street and Portfolio. The rain beings out the colors . . there is a reality to this. Very nice street view. Well captured in rain. Pedestrians are therefore walking in the driveway and cars are on the sidewalks. Um rua enfeitada com candeeiros de tecto, é uma rua toda chique. Even during and after rain you can make beautiful pictures, here the proof. A beautiful street view in the rain. Good sharpness and dept in the photo. Such a cool street shot. 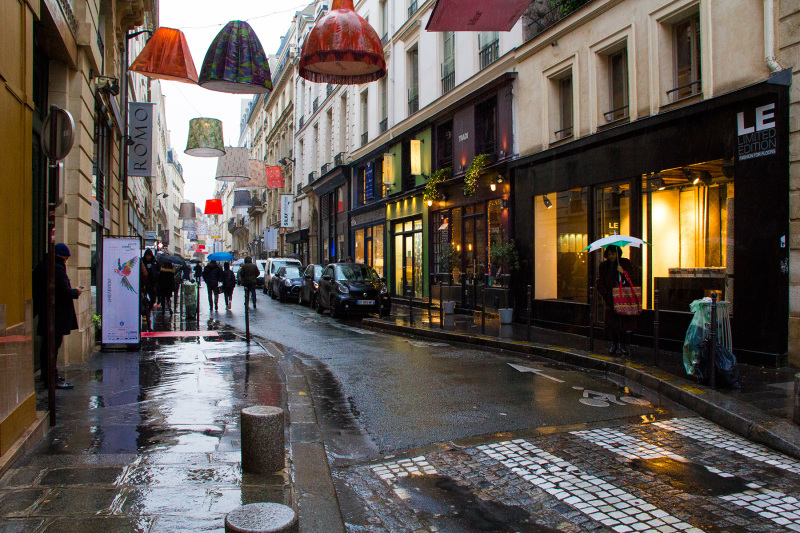 I love those lamp shades floating above the street. Love the lights and rainy street shot. A wonderful street scene! I love those colorful lampshades!